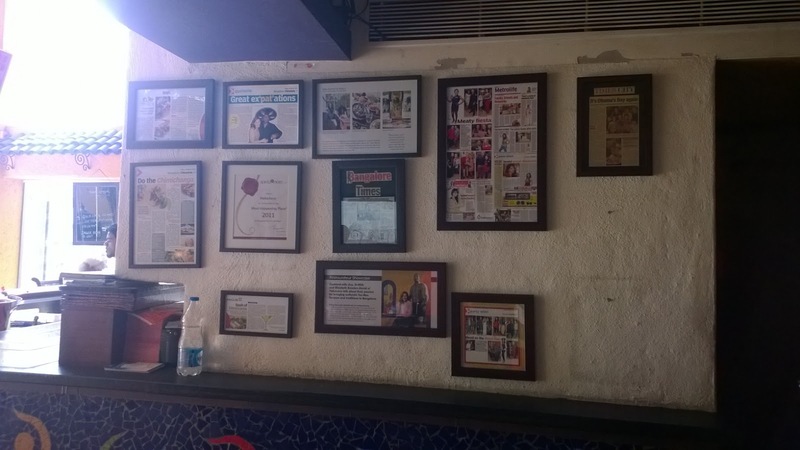 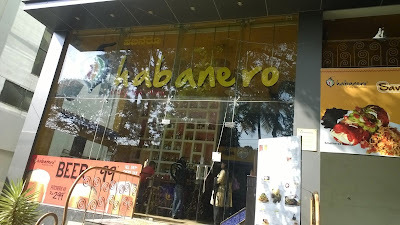 Habanero has been my favorite place to enjoy Mexican food in Bangalore. The entire year, Habanero will give us a tour of Mexico by showcasing a special menu every month from various Mexican regions. 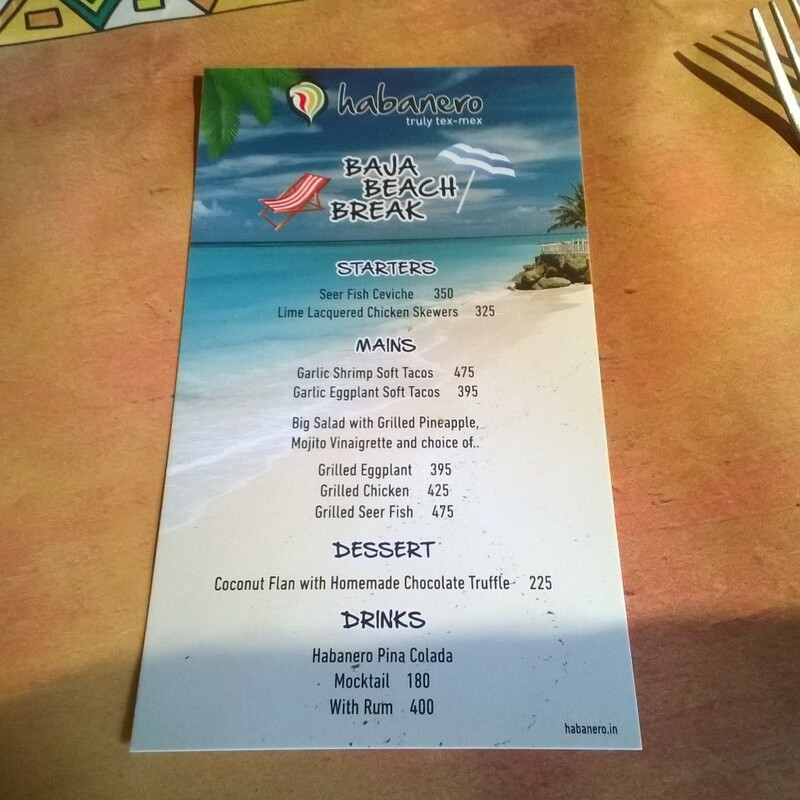 From Feb 8th, the pop-up menu for the month, 'Baja Beach Break', is named after a popular beach 'Baja Beach'. I was recently invited for the preview of the pop-up menu at Habanero, Indiranagar. Mexico's Baja Peninsula is a popular beach destination for tourists, and is known to be one of the best beaches in the world. 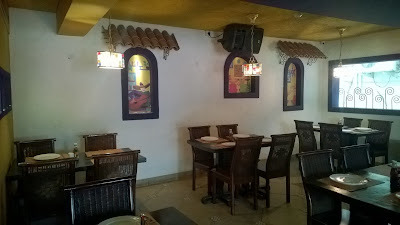 Sun worshippers, surfers and paddlers flock to this beach for the water, sun and sand, and the beach resorts are also famous for serving sumptuous coastal Mexican dishes dominated by seafood items and lime flavors. 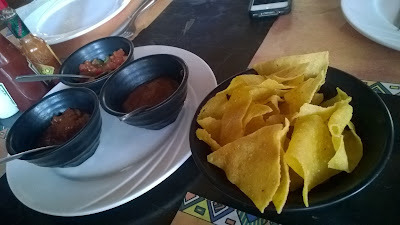 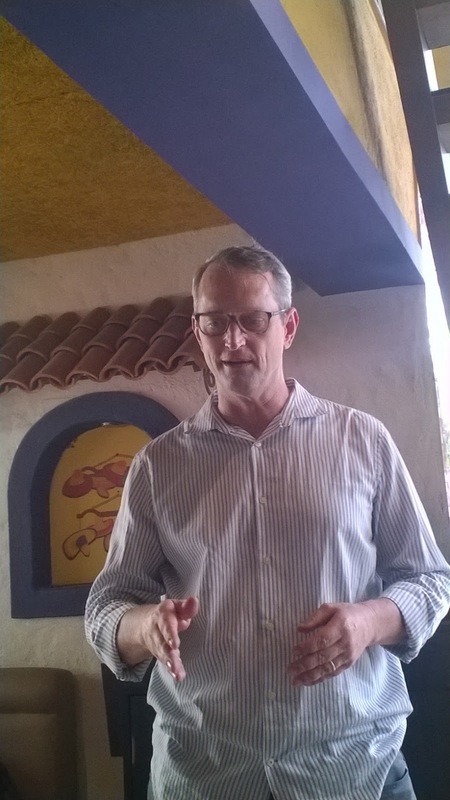 American Chef Dan Durkin took us through the menu along with stories of Baja beach while we munched on some Nachos. 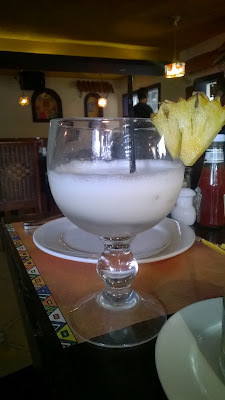 As summer is nearing, it would be the best time to enjoy some tropical drinks and from the pop-up menu, I enjoyed Virgin Pina Colada, they have a cocktail version too but the mocktail was an instant hit on the table. 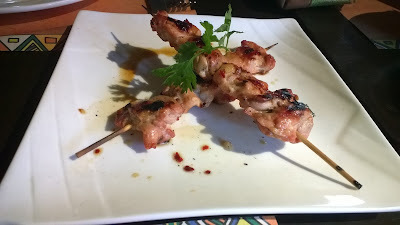 Then came the starters, Lime lacquered chicken skewer. 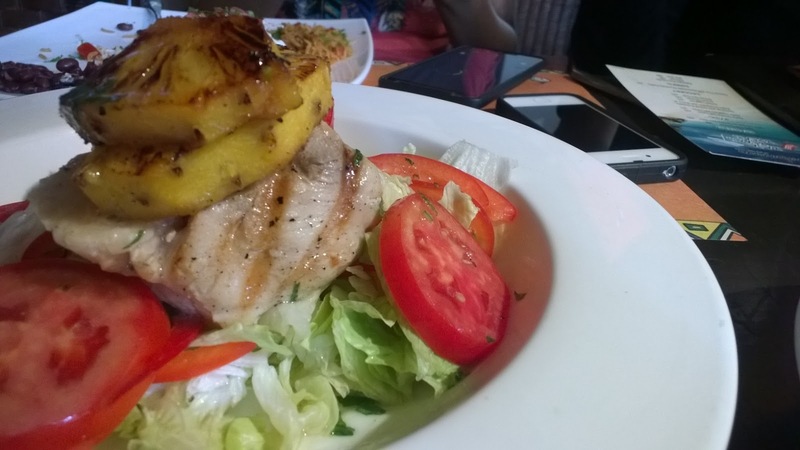 The dish was on the sweeter side. 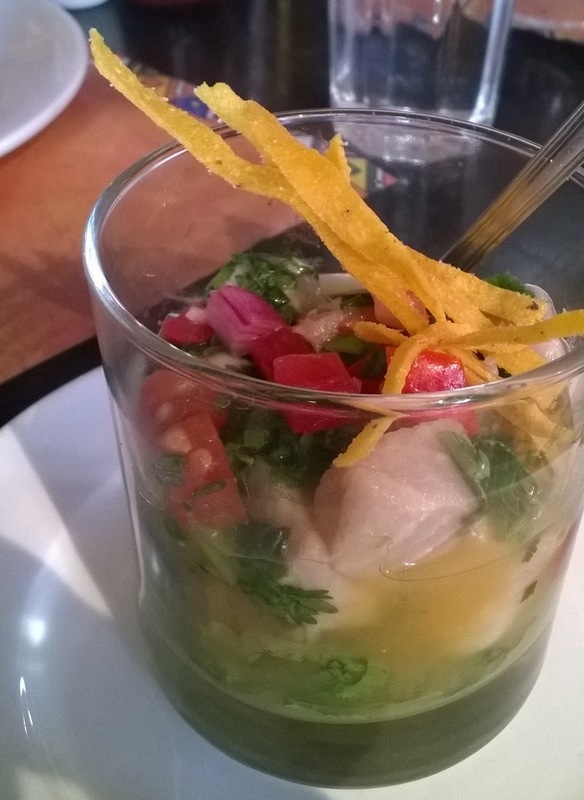 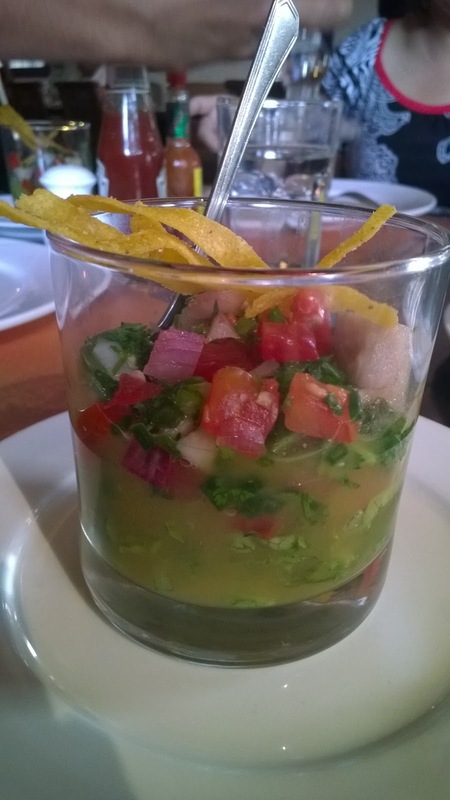 Next was my favorite starter, Seer fish Ceviche, it is a seafood dish popular in the coastal regions of Latin America. 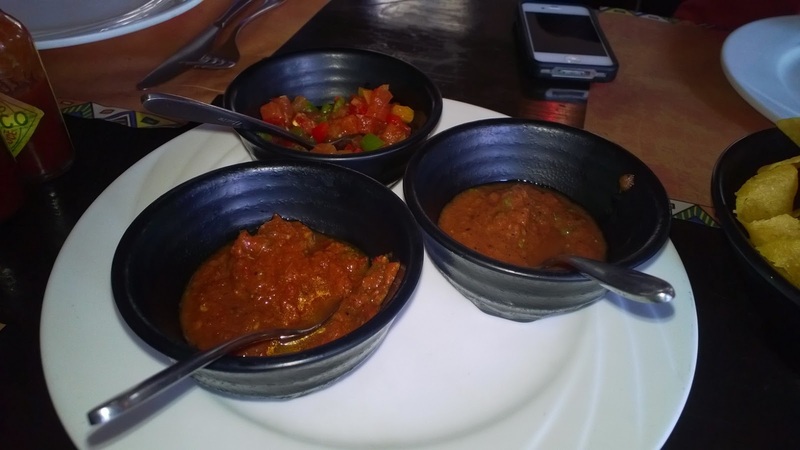 The dish is typically made from fresh raw fish cured in citrus juices and spiced with chili peppers, seasoned with vegetables. I am not a raw fish fan but this tasted exceptional. 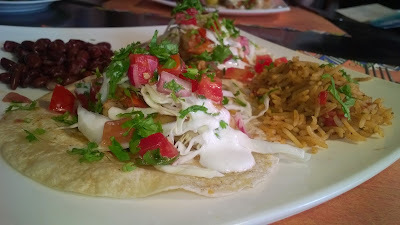 For mains, I tried Garlic Shrimp Soft Tacos which was presented well and delish too. Beans and rice placed separately along with shrimp on 2 taco's. 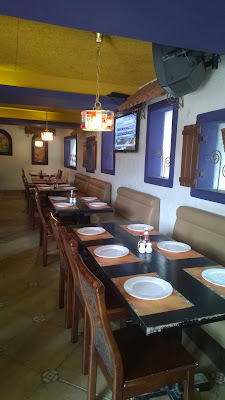 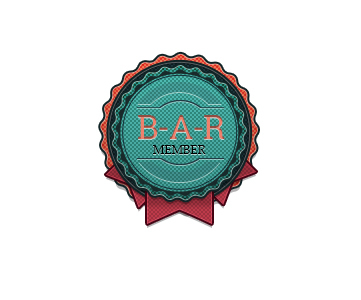 Taco and Mexican food lovers will enjoy it. Veggies have an option for Grilled eggplant soft taco. 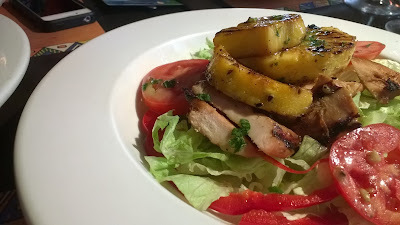 Next was my favorite, Big salad with grilled pineapple, Mojito vinaigrette with choice of either grilled eggplant, grilled chicken or grilled seer fish. 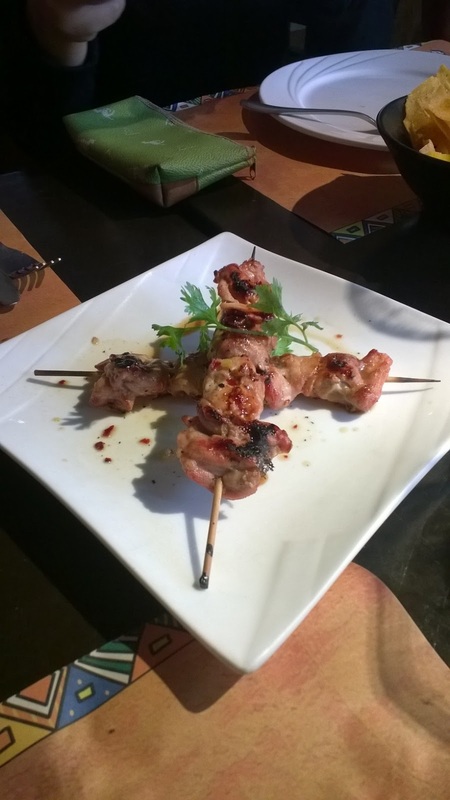 I tried chicken and fish, and I savored seer fish thoroughly. Without dessert, I can never finish my meal. 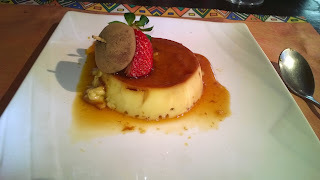 Coconut flan with home made chocolate truffle was on the menu. 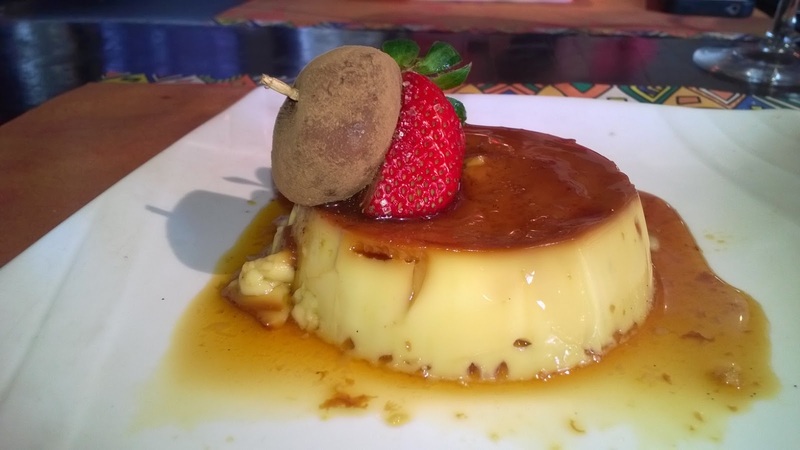 The flan has coconut milk to give it a Caribbean twist while the homemade chocolate truffle is extremely tasty and a bite of it along with strawberry completed the meal on a sweeter note. The pop-up menu is very interesting and those who enjoy seer fish, should try the seer fish on the menu along with Pina colada and the delicious dessert. 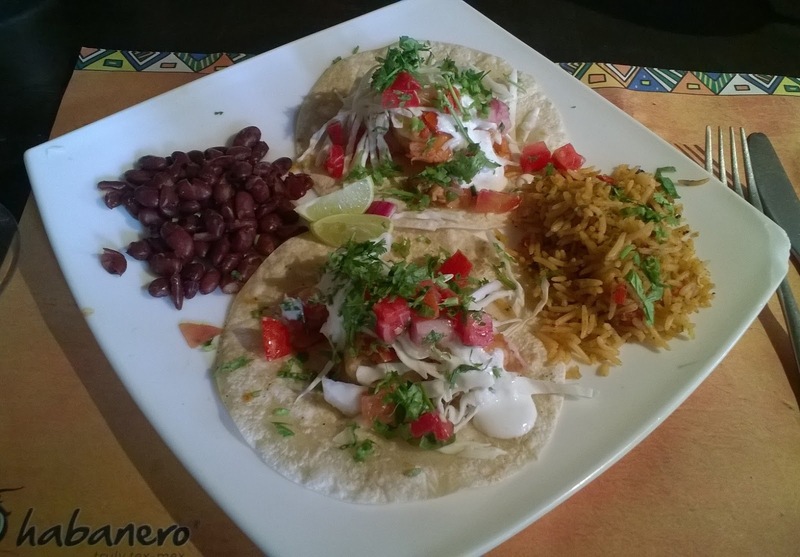 You can enjoy this menu till Feb 28th at Habanero.